Sufficient sleep goes beyond the number of hours they clock in, too. Normal and healthy shuteye looks at the duration, quality, and timing of our Zzz’s. (2) That’s why we’ve developed a special sleep calculator for kids, which can determine if your child is getting enough hours of sleep and going to bed at the right time, all which will up the ante on sleep quality. Our sleep calculator for babies and kids is super easy to use: Simply enter what time you want your kiddo to wake up in the morning, and the calculator will tell you a good bedtime range so they can complete a certain amount of sleep cycles and get a healthy bout of shut-eye. 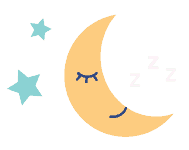 Parents: Make sure to check out our sleep calculator app for adults, too! Note: Any and all tips on Sleepopolis are meant to be informative in nature, but shouldn’t be taken as medical advice, nor should they take the place of medical advice and supervision from a trained professional. 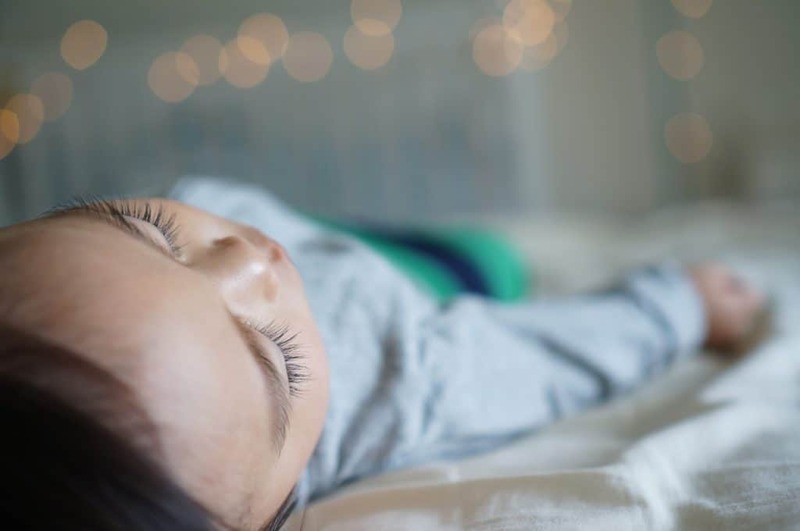 While sleep cycles could be an important thing for you and your child to consider, they’re far from the only factors that go into a healthy night’s sleep. If you feel your child is having serious trouble sleeping, see a healthcare provider immediately. Why Is Calculating Sleep Important For Kids? Sleep looks a lot different for kids, too. Not only do they typically doze off earlier than adults, but they also go through a sleep cycle in just 60 minutes, versus an adult whose typical sleep cycle is 90 minutes. This difference is key: A speedy sleep cycles mean your kid will return to very light sleep every hour — stages 1 and 2 — and can be more easily disturbed throughout the night. The first four stages comprise our non-rapid eye movement (NREM) sleep, while the fifth stage is when we move into rapid eye movement (REM) sleep. In NREM sleep, we start in light sleep and gradually build towards deeper sleep, and finally, our REM cycle. In REM, our eyes dart up and down; this is most likely when dreaming occurs. One Cycle, 5 Stages, 60 Minutes in Total! Stages 1+2 (NREM): This is when you fall asleep! You are still sleeping lightly and it’s easy for you to wake up. Stages 3+4 (NREM): You are in a deep and restful sleep. Your breathing slows down and your body is super still. Stage 5 (REM): Your brain is active and you begin dreaming! Your eyes also move around. Moreover, as we age, the amount of sleep we need decreases, along with the time spent in these lighter sleep cycles. For example, by the time we reach three years of age, 33% of our sleep is considered light. When we reach 13 years old, only 20% of our sleeping time is light. (7) This is good news, meaning that as kids get older, there’s less of a chance they’ll wake up from small noises and outside disturbances. Knowing how important sleep is for your kid is half the battle. Getting them to sleep is a whole other to-do. Luckily, in most cases, establishing a regular bedtime routine for your child will make it easier for them to fall and stay asleep. They are also important for overall development and well-being; a nightly routine is said to support emotional and behavioral growth, language development, and improved literacy. (8) So many benefits around bedtime! Having a consistent routine makes putting them to bed a smooth process that can be both enjoyable and stress-free. Here are some steps you can take with your kid before it’s time to turn off the lights. Aim to create a bedtime routine that includes relaxing and fun activities for your child. Depending on how old they are, give them some activities they can do themselves, like picking out their pajamas and choosing a book to read. A soothing and fun routine could include taking a warm bath, brushing teeth, and reading a story together. If your child isn’t motivated to do the routine every night, some parents offer rewards and incentives for following all the steps and staying in bed until morning. A little gold star can go a long way. It’s no secret that sleep is an important thing for your child to master. We hope you use this sleep calculator for toddlers or adolescents, or even use it as a back to school sleep generator for your teen. Using the calculator with your child might make it fun and get them more excited to hit the hay, too! And if you find yourself also asking “how many hours did I sleep?” calculate all that fun data over at our sleep calculator for adults. Make Time to Sleep. Sleepeducation.org. Medic G et al. Short- and long-term health consequences of sleep disruption. Nat Sci Sleep. 2017 May; 9: 151–161. The Importance of Sleep For Kids. Johnhopkinsmedicine.org. Shakankiry H, et al. Sleep physiology and sleep disorders in childhood. Nat Sci Sleep. 2011; 3: 101–114. How Long Should You Wait Between Eating and Going to Bed to Sleep? Verywellhealth.com. Kitsaras G, et al. Bedtime routines child wellbeing & development. BMC Public Health. 2018; 18: 386. Baby Sleep and Temperature. Babysleepsite.com. Netburn, D. Will a smartphone-free bedroom help your kid sleep longer? Los Angeles Times. Jan 05, 2015.